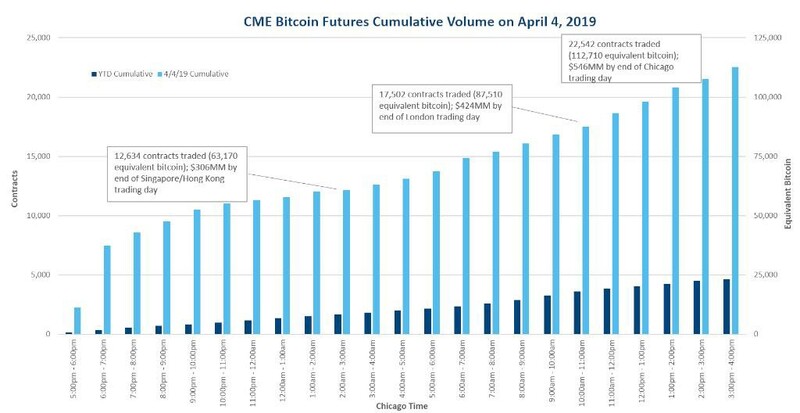 CME Group, the Chicago-based derivatives marketplace, has experienced an all-time high trading volume on April 4, 2019, according to a Tweet from the firm on Friday. According to CME Group, the firm recorded over 22,500 bitcoin futures contracts on April 4, which is equivalent to about 112,700 bitcoins. This surpassed its previous record of over 18,300 (equivalent to 64,300 BTC) on February 19, 2019.